The Economic and Financial Crimes Commission (EFCC) has arraigned a former governor of Adamawa State, Mr Umaru Fintiri over alleged theft, breach of public trust and money laundering. Mr Fintiri, who is also a former Speaker of the Adamawa State House of Assembly was drafted in acting capacity following the now nullified impeachment of former governor, Murtala Nyako. 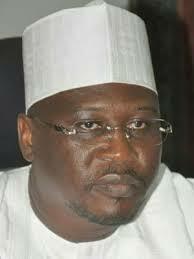 Mr Finitri has been arraigned before Justice Ahmed Mohammed of the Federal High Court, Abuja. He, however, pleaded not guilty to the five count charges bordering on money laundering and fraud.